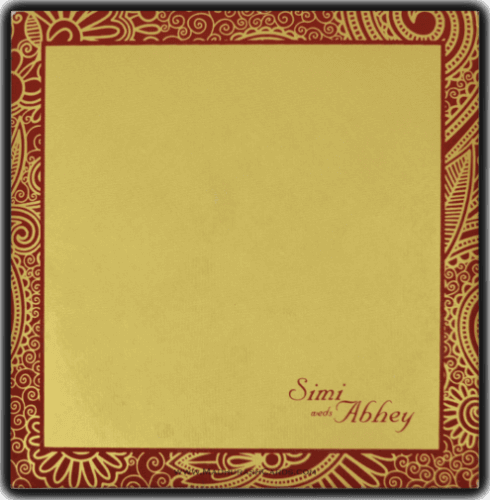 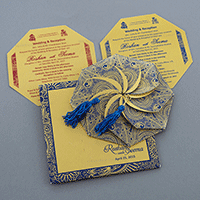 Your guest won't be able to hold their excitement while receiving this artistic wedding invitation. 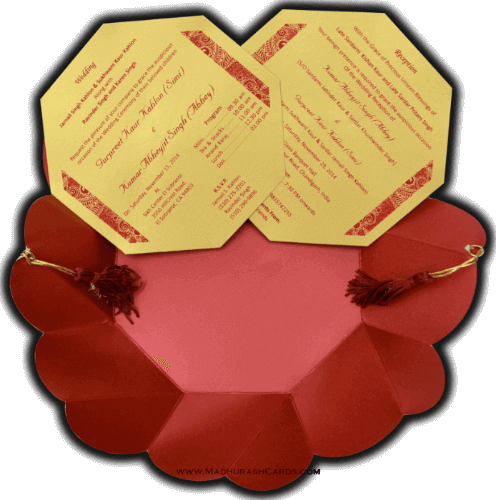 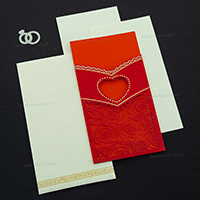 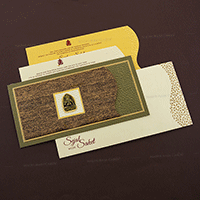 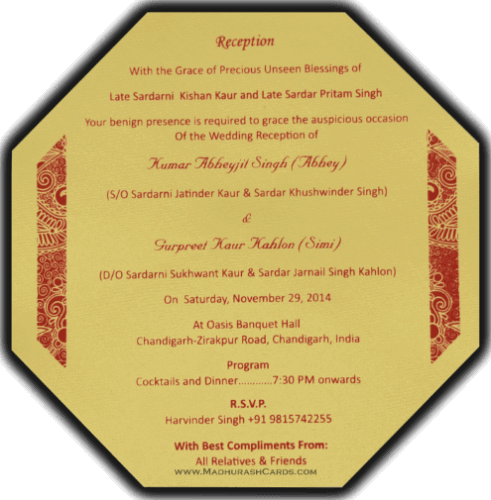 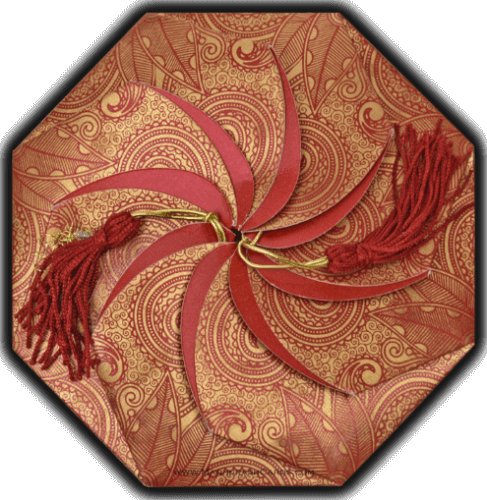 The unique octagon shape card front is designed to attract everyone, the metallic invitation makes the invitation a royal one. 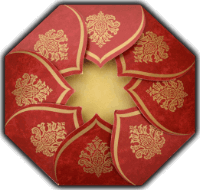 It's marvelous!